✔ All accounts are Fully SAFE. ✔ Trusted Level 4 Seller. ✔ Best quality on SEOClerk. ✔ No Password Access Required. 1. Please do not use more than one seller at the same time for the same page. We cannot give you correct followers/likes number in that case. Please keep attention! 2. After sending orders, if you delete your page/account or change it to private or change username , We will not refund for this cases. Please keep attention! 3. If you order on our Service for a account, please don't order any other service for that same account. There no refund or no excuse will be accepted. 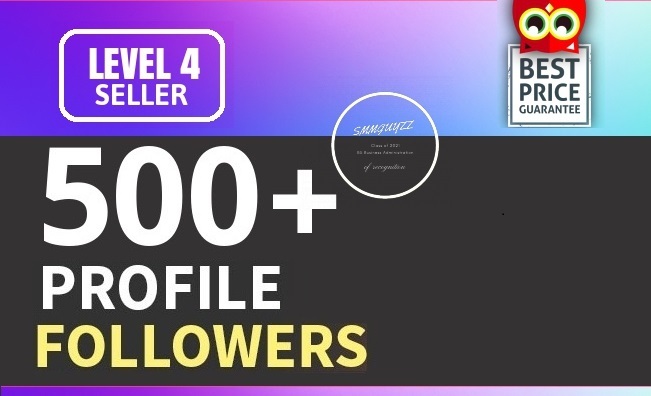 Add 500+ High Quality Fast Profile Followers is ranked 5 out of 5. Based on 187 user reviews.